MYSTIC INDIA The World Tour – COLUMBIA, MD – APRIL 28 | Love Productions Inc. 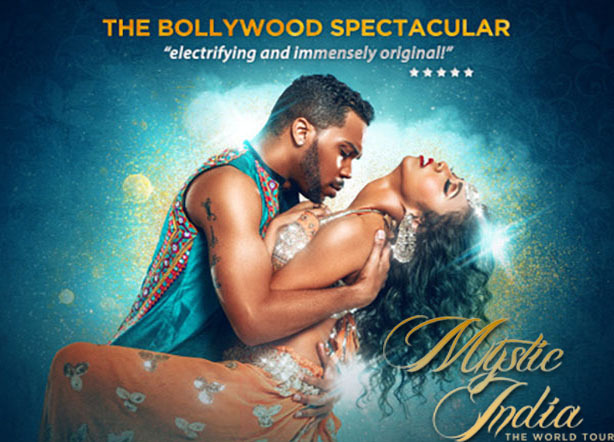 Mystic India: The World Tour is an internationally acclaimed Bollywood dance spectacular based on the concept of ancient India’s transition into modern India. The show features renowned musicians, brilliant dancers, breathtaking aerialists and acrobats, and 750 opulent costumes. The colorful costumes and elaborate sets have been custom designed in India’s film capital by a team of 40 designers and workers over the course of two years. The team of diverse, impeccably trained dancers combine authentic Indian and modern techniques bringing the streets of Mumbai and New York into perfect harmony.